Sapphire lasers feature outstanding performance and reliability making them the ideal laser solution for life sciences, forensic, environmental protection and metrology applications. 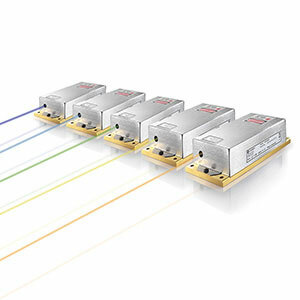 The unique wavelength and power scalability of its OPSL foundation allows for the most versatile laser portfolio available today. Sapphire FP (Fiber-Pigtailed) lasers are true fiber-pigtailed lasers ranging from deep blue (458 nm) to orange (594 nm) for life sciences, metrology and inspection applications. 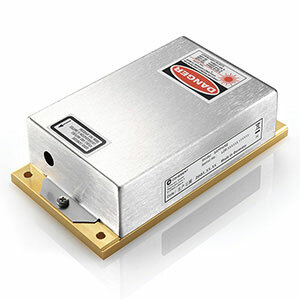 Sapphire LP (Low-Power) is a series of continuous wave (CW) lasers providing industry leading beam quality, power stability and low noise at 458 nm, 488 nm, 514 nm, 532 nm, 552 nm, 561 nm 568 nm, 588 nm and 594 nm. Their superior parameters, form/fit/function compatibility, proven reliability and low cost of ownership make Sapphire LP the ideal laser solution for a manifold of applications such as life sciences, environmental protection, electronics and metrology. Sapphire SF (Single-Frequency) lasers are the right choice for applications that need narrow and ultra-narrow linewidth light like Raman spectroscopy, interferometry, holography, metrology and inspection. Sapphire LP/SF Driver Unit provides controller and power supply in a wall plug-ready box, featuring a standby/laser ON switch and remote control options via analog, RS-232 and USB interface. Enables and simplifies stand-alone applications (CDRH compliant). 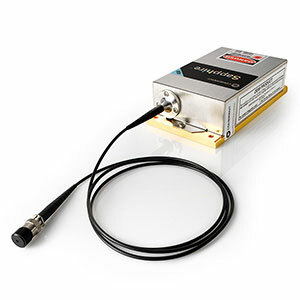 Sapphire FP compact, continuous wave (CW), visible lasers enable optimum excitation of target fluorophores and are available at 458 nm, 488 nm, 514 nm, 532 nm, 552 nm, 561 nm, 568 nm, 588 nm and 594 nm at output powers up to 200 mW. The Sapphire LP low-power, continuous wave (CW) blue, green and yellow lasers are ideal for life sciences, forensic, environmental protection, metrology, featuring industry leading beam quality, power stability and low noise. The Sapphire LP/SF turnkey driver units are designed for CDRH-compliant stand-alone configurations and feature standby/laser ON switch and remote control options via analog, RS-232, and USB interface. The Sapphire SF continuous wave (CW) blue and green ultra-narrow linewidth lasers are ideal for applications such as Raman spectroscopy, interferometry, holography, metrology, and inspection. What’s more, laser parameters stay stable over time due to Coherent’s unique and patented Permalign technology: the optical components are aligned to optimum and then soldered. Therewith the optimal alignment is frozen over the lifetime of the product, the laser becomes highly insensitive to vibration and thermal cycles. All Sapphire lasers are manufactured in controlled cleanrooms and hermetically sealed, before being run through rigorous testing procedures designed to keep variances from laser to laser to a minimum. This results into lasers with outstanding performance characteristics, best unit-to-unit consistency, and superior lifetimes. Sapphire provides wavelengths formerly available only with ion and Nd:YAG/ YVO4 lasers but avoids disadvantages of these technologies. Due to the compatibility with their legacy wavelengths instrument manufacturers can directly integrate Sapphire into their existing designs and use the same optics and filters as already employed. 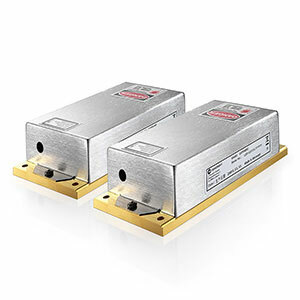 Now the new Sapphire SF lasers also provide single-frequency operation with an ultra-narrow linewidth of < 1.5 MHz at 488 nm and 532 nm for applications such as Raman spectroscopy, holography, metrology, inspection. Sapphire comes with a flexible interface concept: analog, RS-232 or USB – it is up you to select your communication channel. This interface concept has been designed to support your laser application and sustain the fast changing demands and developments of your industry in the coming years. The modular concept with small-footprint components and high electrical efficiency further facilitates and simplifies integration not only into OEM instrumentation with their reduced physical, electrical and thermal demands.